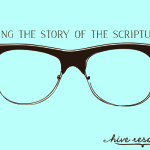 In this series – Seeing the Story of the Scriptures – we’ve been looking at the Bible as one, unified story. At the center of that story is the King. The story of the Scriptures is this: a good King created a good world, and although it was corrupted by sin, He is at work to redeem and restore it through His Son, Jesus Christ. But how do we train our eyes to see this story, exactly? 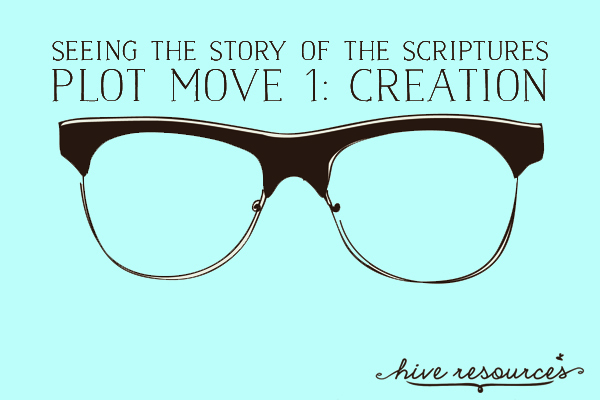 We learn to see the story of the Scriptures when we focus on its four basic plot moves. These four plot moves are CRUCIAL to understanding the story of the Bible because they tell us how our story intersects with God’s story for the world. 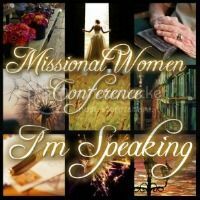 Women need to understand these four plot moves in God’s story and how they apply to us, living in a broken world, today. Understanding how the story of the Scriptures explains our hurts and grievances helps us answer difficult questions that all too easily can lead us astray. Questions like: if God is such a loving God, then why is the world he created such an unloving place? Ultimately, these four major plot moves help us keep our eyes focused on the truth of God’s Word instead of what we want to take away from it. 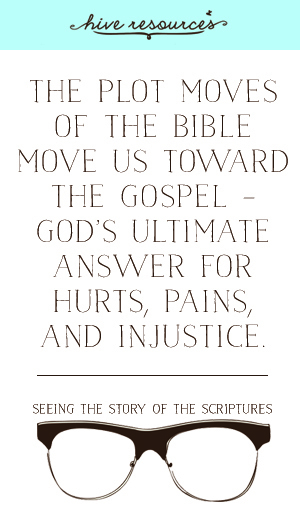 These plot moves move us toward the gospel – God’s ultimate answer for hurts, pains, and injustice. In the coming weeks, we’ll unpack each of those plot moves and what they have to do with you! Today, let’s look at how the biblical story opens. The first plot move in God’s story for the world is Creation – a good King created a good world, a kingdom. 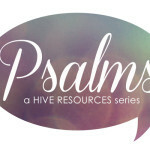 Genesis 1 & 2 opens with the story of a God who creates everything out of nothing. And what he created was “good.” In fact, God declares his artistry “good” over and over again. The author repeats himself because the Creation plot move entails the idea that God created us for a good purpose. At creation, God created Adam and Eve in his image. He shared his likeness with humanity for two very good reasons: God intended humanity to be his representation and his representative. When we think of the image of God, this is we typically what we think of first. We are a representation of our King. That means God designed us to reflect his abilities – in our capacities to reason, think, express emotion, perceive and create beauty. We reflect him in these areas. In all these areas, we differ from the rest of the King’s creation. No other part of creation bears its Creator’s likeness in this way. When we use these abilities, we are a representation of our good King. But there is another aspect bearing God’s image that we often overlook. Not only are we a representation of our King, but we are his representative, too – ruling over the earth and having dominion over it. For Adam, this looked like tending and keeping the garden. (Gen. 2:15). And for Eve, she was to help Adam accomplish all he had to do (Gen. 2:18). And both were to have dominion over the earth and all the animals (Gen. 1:26-28). Adam and Eve were sub-regents under the king, stewarding the earth in the King’s name. Today, stewarding the earth looks a little different than in Adam and Eve’s day. This is good news, particularly for those of us who have trouble keeping house plants alive (**raising my hand here**). 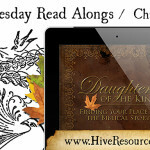 To figure out how we’re supposed to represent our King today, we have to focus on the principle behind the passage. Being a representative of God means showing what life in the King’s kingdom looks like wherever you are – in the home, workplace, or community. Wherever we find ourselves, we are called to be living demonstrations of love and light, peace and grace, holiness and right living. Today, we are short on these royal representatives. Homes are broken, communities unhinged. With words like Ferguson and ISIL/ISIS emblazoned in headlines, we are tempted to look at the world around us and wonder what can we do? I am just one person. What can I do to make any real difference? Times haven’t changed much since paradise was ruined and neither has God’s design; no person is needed more today than a representative of the King – individuals who desire to walk in wisdom, peace, and holy love. The first plot move of the story of the Scriptures is CREATION – a good King created a good world, a kingdom. And when he created his kingdom, the King established a pattern for abundant life – mankind living with and serving their King. This is where your story meets God’s story, no matter where you live or what you’re living through. You’ve been crowned as a sub-regent of the King of Kings. You are his representative to a hurting and broken world. 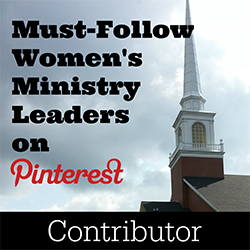 How can you be a representative of the King today?